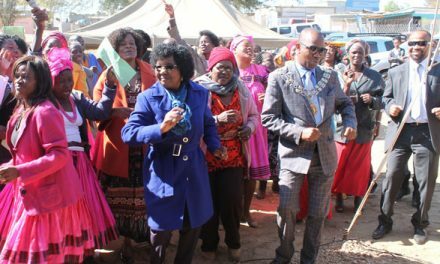 The two old age homes in Tsumeb are the beneficiaries of a special gift from Dundee Precious Metals, the operator of the smelter in the mining town. Dundee provided the two institutions with water dispensers to ensure the elderly residents have clean, cold water on hand daily. Dundee Precious Metals Tsumeb’s Public Relations Superintendent, Alina Garises said, Dundee recognises senior citizens as role models and good examples to the rest of the community. “We trust that you will enjoy your new water dispensers, be blessed with good health and live fruitful and productive lives”. “We are overjoyed by each visit from Dundee because we know that they bring great hope and fulfilment with each occasion. 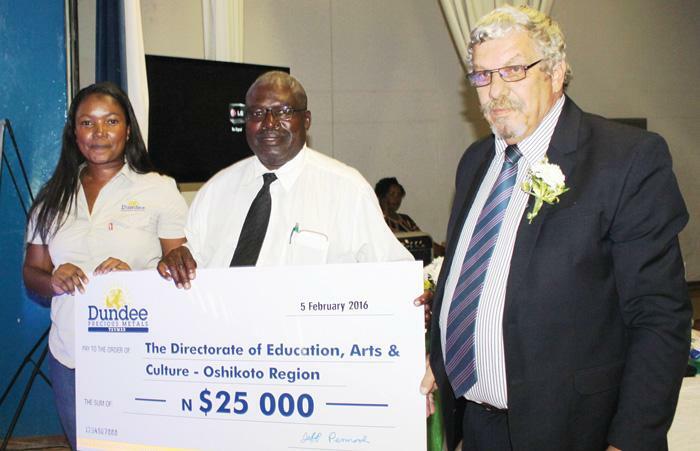 Our gratitude extends vastly and we can’t thank you enough for keeping us and our wellbeing in mind while you continue to work hard as a world-class employer in the Oshikoto region,” said Mr. Moses Awiseb, Management Committee member of the Tsumeb Economic Upliftment Welfare Organisation. Similarly, the senior citizens of the Maroela Old Age Home expressed their gratitude. “Dundee Precious Metals Tsumeb does its best by ensuring that the Tsumeb community is an enhanced place for residents via various charitable donations” said Garises reminding the caretakers and management committees of the old age homes to remain devoted and driven as they are the primary caregivers of the senior citizens.